Savoury nutritional flakes or nutritional yeast as they are sometimes referred to are packed with nutrition. They are high in B Vitamins, zinc and other trace minerals, one of only vegan sources of Vitamin B12, a complete bioavailable source of protein and a natural fibre source. Vegan Nutritional Savoury Flakes or nutritional yeast as they are sometimes referred to are packed with nutrition. They are high in B Vitamins, zinc and other trace minerals, one of only vegan sources of Vitamin B12, a complete bioavailable source of protein and a natural fibre source. deactivate them and then rolled to form flakes. yeast flakesÈ should not be confused with traditional baking yeast as they contain no alcohol and wonÈt cause or exacerbate candida or leaven baked goods. 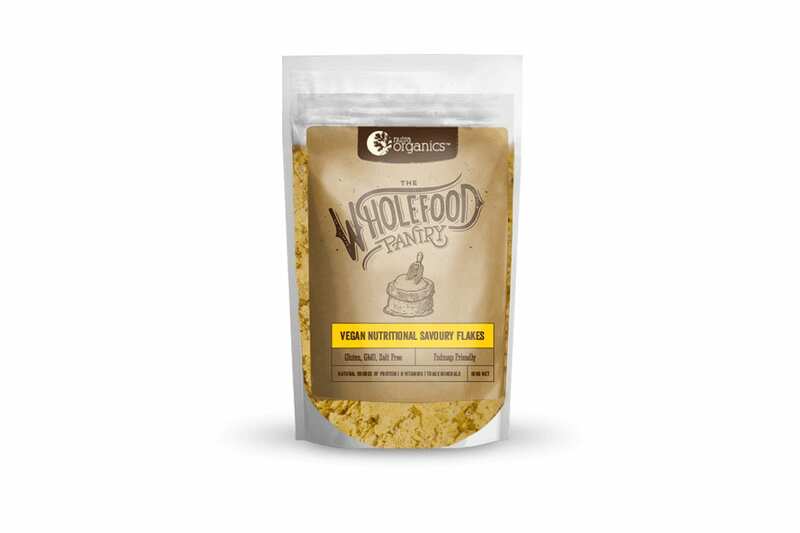 Savoury Nutritional Flakes are often used as a vegan substitute for cheese, due to the rich savoury flavour. Sprinkle on popcorn, stir into mashed potatoes, use anywhere in place of parmesan cheese, add a tablespoon or 2 to your dishes to add a cheesy flavour without the dairy.